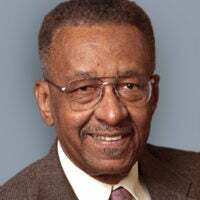 Walter E. Williams is a columnist for The Daily Signal and a professor of economics at George Mason University. During the weekend of Aug. 4-5 (and the preceding Friday night), 12 Chicagoans were shot dead, and 62 others were shot and wounded, the Chicago Tribune reported. Before last week’s mayhem, 1,718 Chicagoans had been shot since the beginning of the year, and 306 had been murdered. Adding to this tragedy is the fact that Chicago’s clearance rate is less than 15 percent. 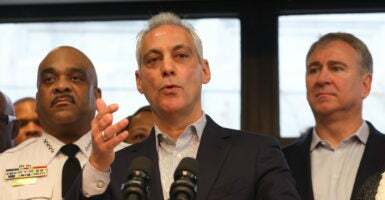 That means that in more than 85 percent of Chicago’s homicides, no suspect is charged. Chicago is by no means unique in this lawlessness. Detroit, Baltimore, Philadelphia, St. Louis, and some other major cities share high rates of homicides. It’s not just shootings and homicides that negatively impact the overwhelmingly law-abiding black residents of these cities. In addition, there are sky-high rates of burglaries, rapes, and property destruction. The schools are notoriously bad. City budgets face shortfalls. Residents deal with deteriorating city services. All of this causes mass exoduses from these cities by their most capable people. Ordinary decency demands that something be done to address the horrible conditions under which so many black Americans live. White liberals, black politicians, and sports figures focus most of their attention on what the police do, but how relevant is that to the overall tragedy? According to Washington Post data, as of July 9, 626 people had been shot and killed by police this year. Of that number, 114 were black. Last year, 987 people were shot and killed by police, of which 223 were black. To put police shootings in a bit of perspective, in Chicago alone in 2017, there were 674 homicides, almost 80 percent of whose victims were black. It would appear that if one is truly concerned about black deaths, shootings by police should figure way down on one’s list—which is not to excuse bad behavior by some police officers. Would getting more blacks and Democrats in political office help? It turns out that of the Chicago City Council’s 50 aldermen, only one is Republican. One is an independent. Forty-eight aldermen are Democrats, and 19 are black. In fact, most of the cities where large segments of their black citizenry live under horrible conditions have been controlled by Democrats for nearly a half-century, and there are many blacks on the instruments of control, such as chiefs of police, superintendents of schools, and members of city councils. If Democratic and black control meant anything, these cities would be paradises. How helpful to these desperate black communities are the efforts of so many black politicians to focus on allegations about President Donald Trump’s ties to Russia? The leader of the movement to impeach Trump is Rep. Maxine Waters. Her congressional district suffers from high crime rates and failing schools. She, like most other black politicians, claims that she is helping her constituency by doing all she can to fight to get more taxpayer money to her district. More money from taxpayers could not fix the problems of these communities. Over the past 50 years, more than $16 trillion has been spent on poverty programs. The majority of those programs have simply made poverty more comfortable by giving poor people more food, health care, housing, etc. What’s needed most is to get poor people to change their behavior. Chief among the modifications is reducing female-headed households. Female-headed households produce most of our prison inmates, the highest crime rates, and disproportionate numbers of high school dropouts and suicides. These devastating factors are far beyond the capacity of Washington to fix. The only people who can fix these problems are black people themselves. Black athletes could be far more productive by going to schools and community centers to encourage constructive behavior and shaming self-destructive behavior. Support should be given to police to stop criminals from preying on communities. Nongovernmental local groups should be encouraged to play greater roles. It’s a challenge, but keep in mind that black people had the intestinal fortitude to lead the world’s greatest civil rights movement through some very dark days from 1865 to 1965. I believe that we’re up to the challenge. If we wait for Washington to solve our problems, we’ll be waiting for a long time.